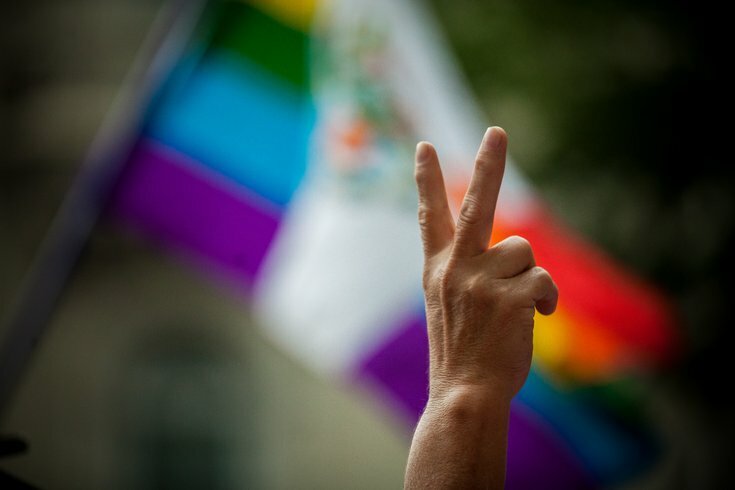 Two years ago today, family members and friends of 49 people were getting phone calls that their loved ones had been shot and killed inside Pulse Nightclub in Orlando, Fla.
Forty-nine LGBTQ+ individuals fell victim to an active shooter that night — an act of violence that is still racking the queer community with grief and has incensed activists to question lawmakers since this shooting, and so many others, since. Philly has deemed Tuesday, June 12 "Orlando United Day — A Day of Love and Kindness" to remember those 49. In Washington, gun control activists organized a 12-minute die-in on Capitol Hill to push for stronger gun control laws — one second for every mass shooting since the Pulse attack. The hashtag #HonorThemWithAction was trending on Twitter among rally, protest and memorial participants. And Pulse and Parkland, Fla. school shooting survivors held a die-in at President Trump's Mar-a-Lago resort in Palm Beach, Florida this afternoon. But it will mean something. It will be a glimmer of hope. It will show that our country is willing to take steps forward. There was an #HonorThemWithAction rally at Orlando City Hall, too. Last night, hundreds of Philadelphians gathered at the Art Museum steps to take a stand against gun violence. They were calling the event #FillTheSteps. The rally was led by students from Parkway Center City Middle College, families who have lost family members and friends to gun violence and to survivors. Students are taking turns to talk about how gun violence has affected their lives and the research they’re doing to learn more about what they can do to help.